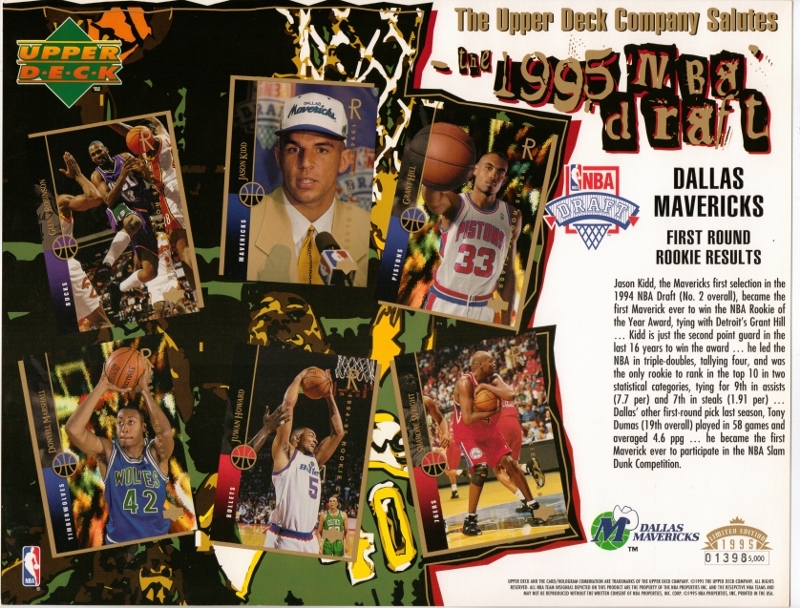 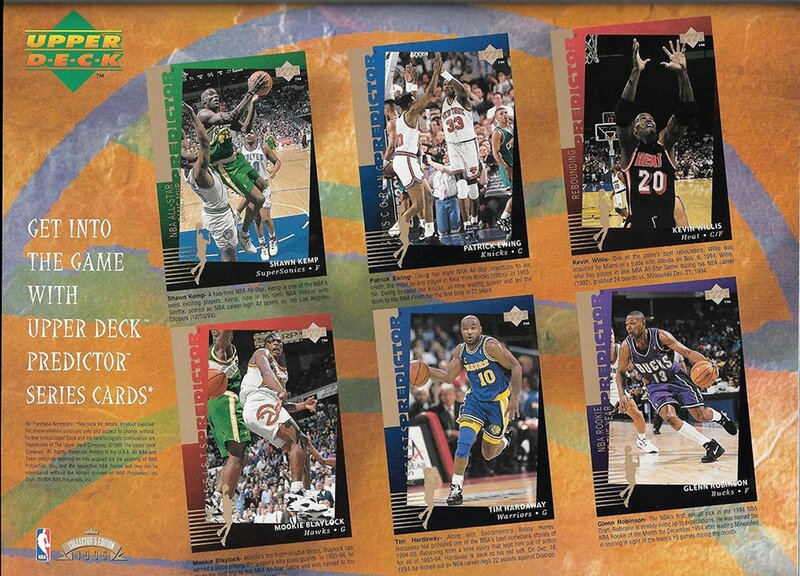 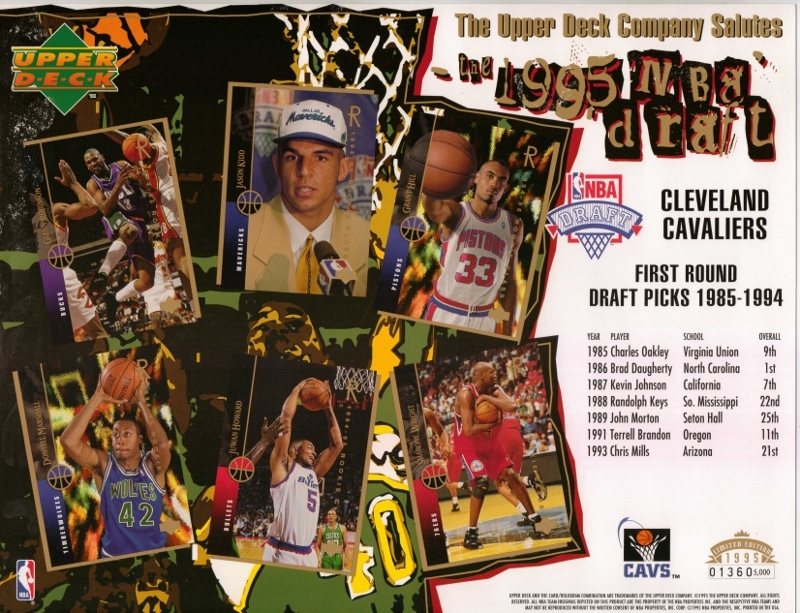 For 1995 Upper Deck produced NBA draft sheets. 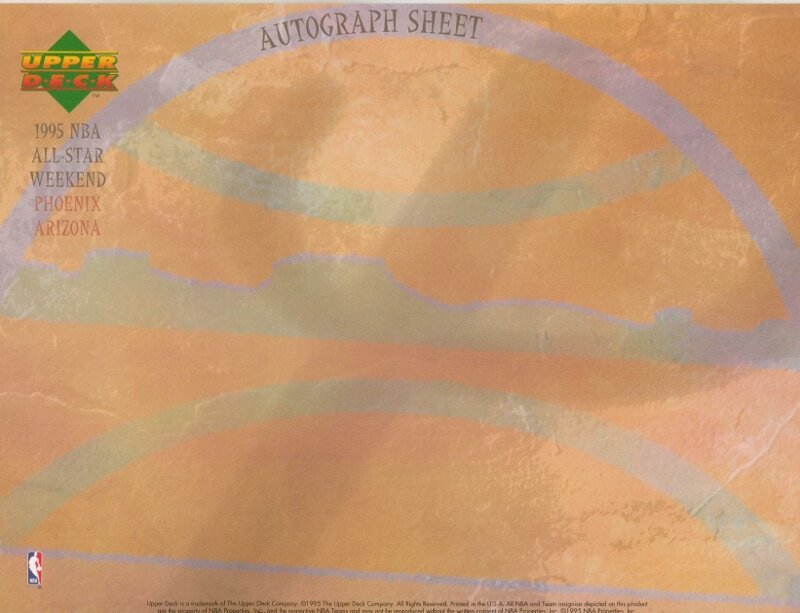 They were given out June 28th at each of the stadiums listed below and each sheet is numbered to 5,000 except for one (the Toronto Main Draft sheet numbered to 25,000). 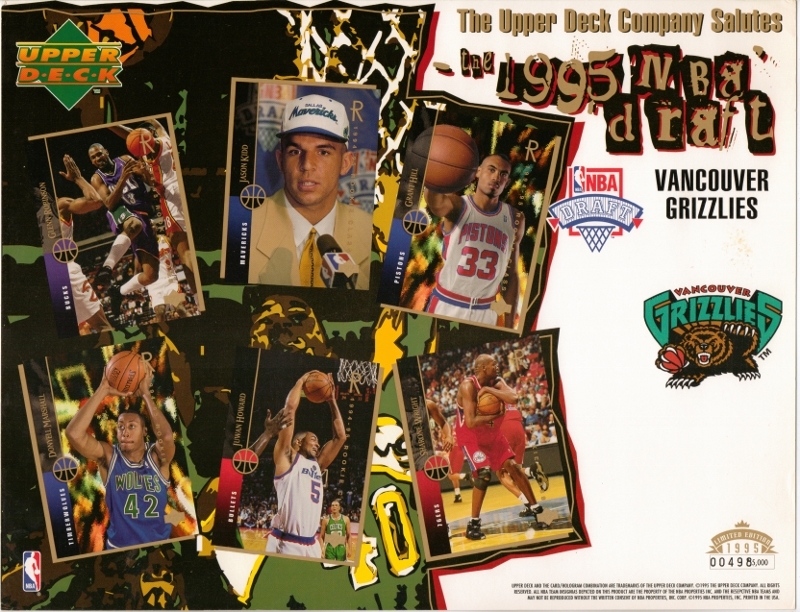 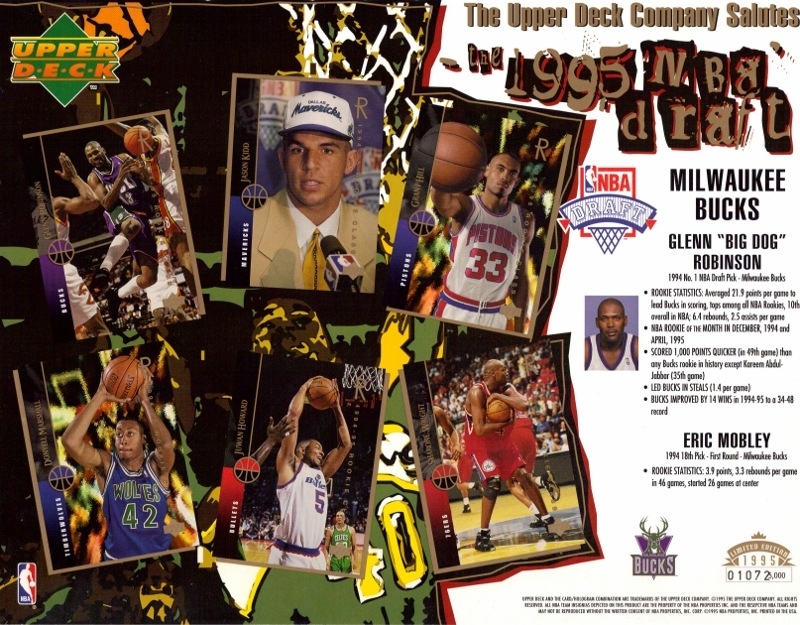 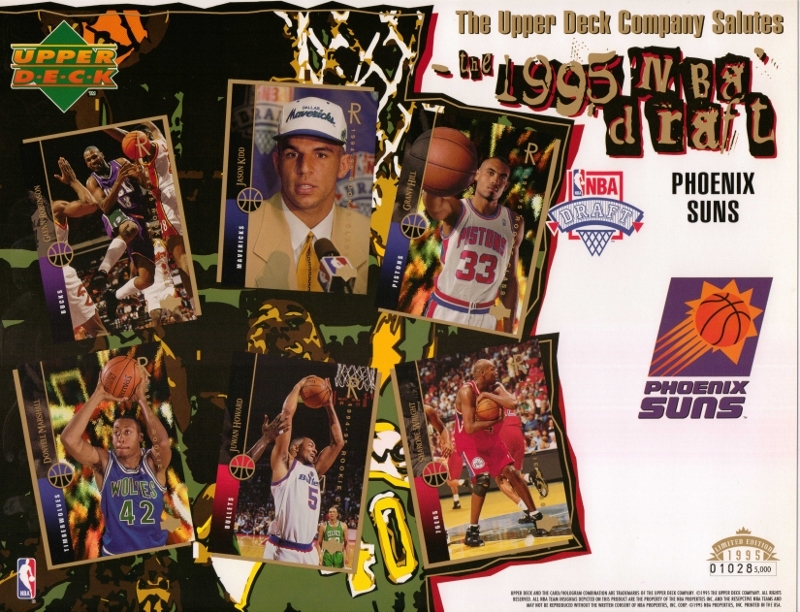 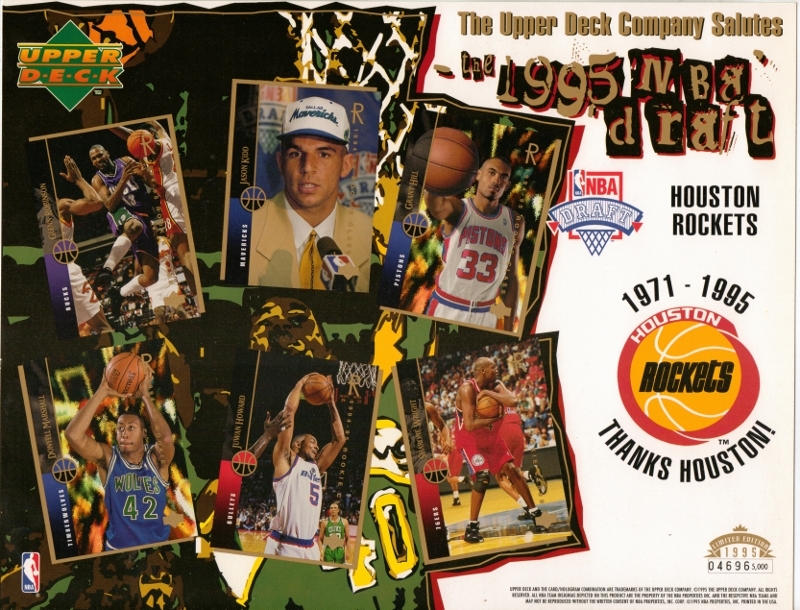 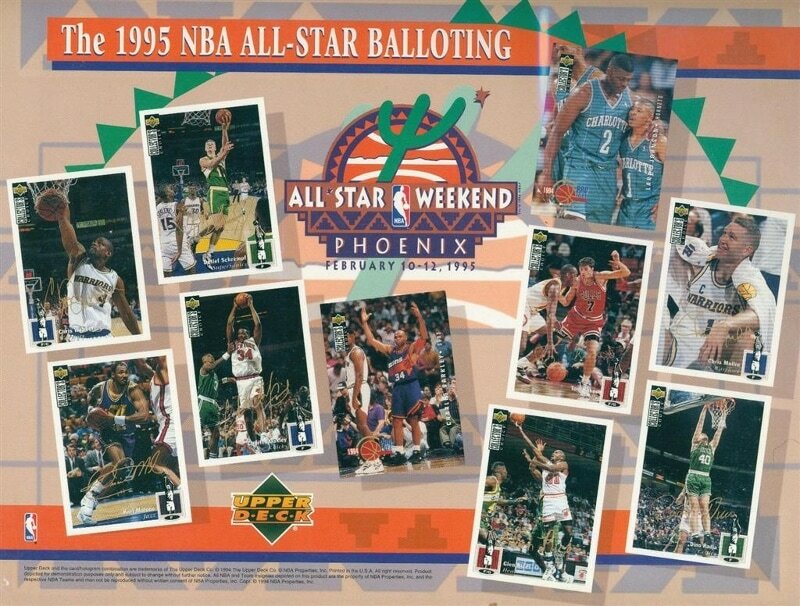 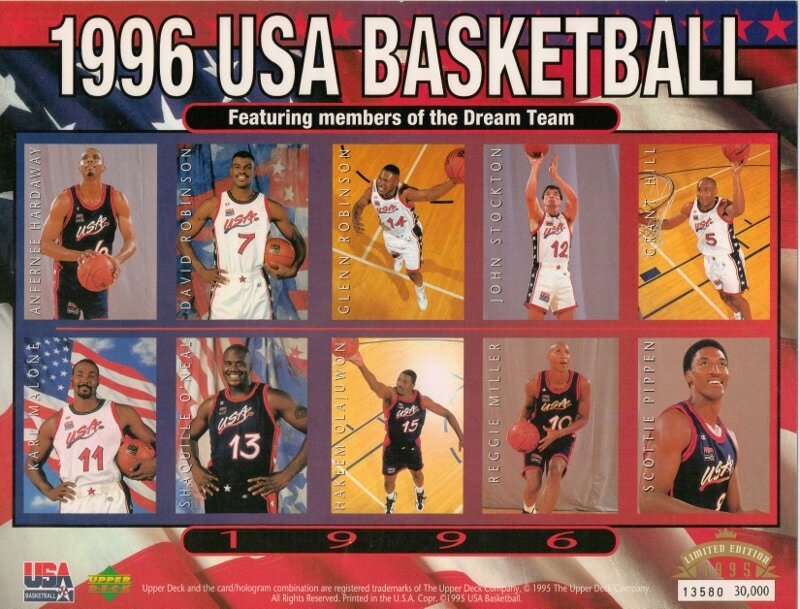 Pictured on each sheet are Jason Kidd, Grant Hill, Donyell Marshall, Glenn Robinson, Sharone Wright and Juwan Howard. 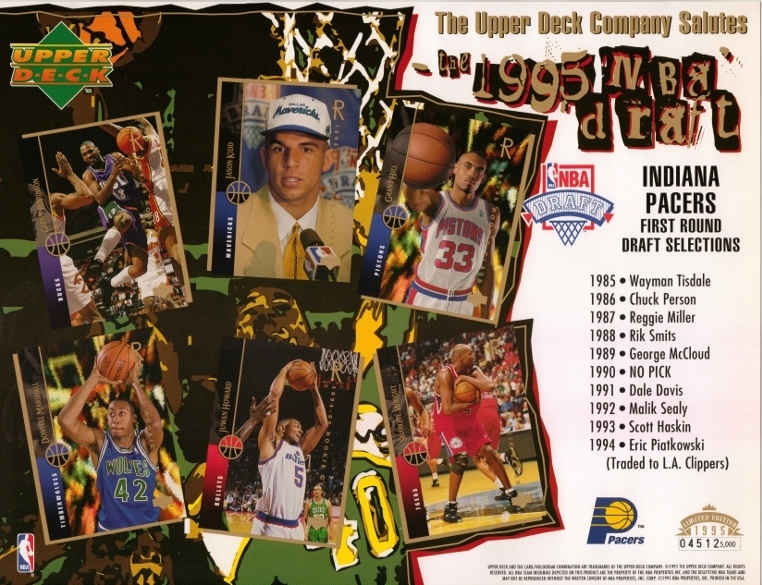 I'm sure other teams did a draft sheet but these are the ones I have found so far. 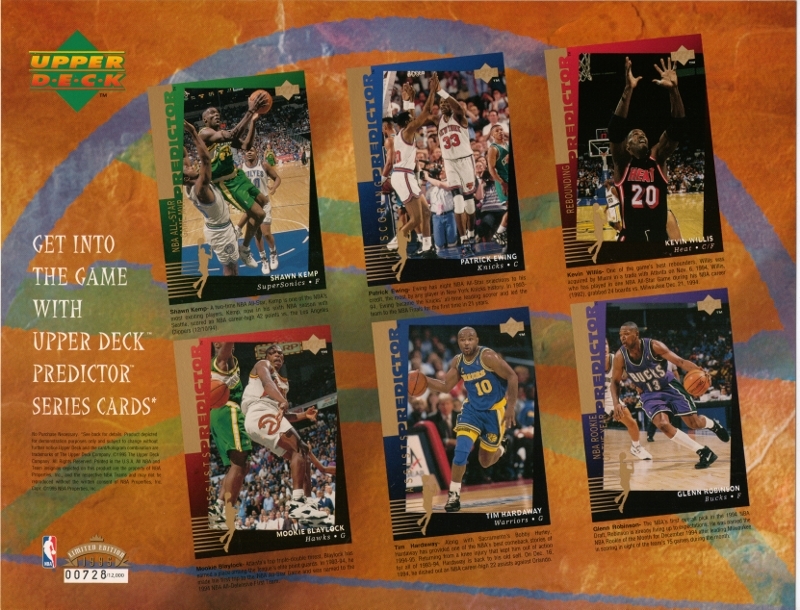 Anyone with others please contact me. ​ sure what all was made.